As part of the Ottawa 67’s Prospects Grassroots Program, one lucky young hockey player is named Prospect of the Game at every home match. 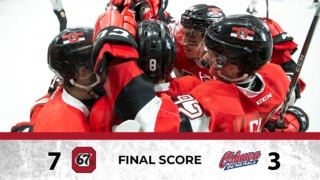 On Monday, February 22, Jordan Eber was chosen to be the 67’s Prospect of the Game. Jordan plays right wing for the Ottawa East Eagles Peewee C1 team. 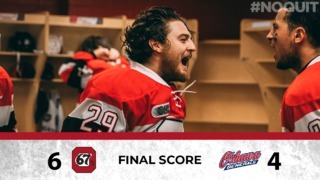 He met his favourite 67’s player, centre Ben Fanjoy, and took part in High Five Alley, where he wished the whole team good luck as they hit the ice versus the Niagara IceDogs. 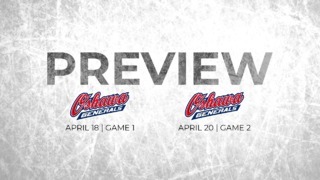 For more information on how you can be the 67’s Prospect of the Game, visit 67sProspects.com.